After what turned out to be quite a long series of analysis videos of The Witcher 3: Wild Hunt on consoles, this should be the very last extracts we'll put under the microscope of BlimBlim's magic pluggin. The Xbox One version of the game just got patched, reaching the long awaited 1.04 state PS4 players have been able to enjoy for a few days. As you'll see, performance is still better than on PS4 in the swamps, but you shold also note that there are no fog effects to be seen on Microsoft's console (it was the same on the 1.03 patch). so they've just completely removed the fog? or was it just not foggy during capture? I do believe this will become the curse of the PS4. Pushing 1080p and additional effects, thus compromising framerate. A slightly weaker CPU will not help either. it will never be a curse becasue ultimately something WILL fold. i figure as games get more graphically intensive both consoles will have no choice but to drop res. currently PS4 has a quick solution to framerate issues (which arn't so bad anyway) it's just a matter of seeing when they'll use it. MS is in a worse situation becasue if they drop res they're a 720p console again. lol. and i understand performance is important. but to remove fog (if that is indeed what they've done) seems like a bad way to go about it. that's basically destroying the atmopshere of the locations. they should optimise their engine to better handle transparencies or something. Where exactly is this swamp? Is it the one in White Orchard? Looks like it, you can farm lesser red mutagens just south of this swamp. No its in Velen, Crookbag bog. or Downwarren. p.s. Still bad! Indeed they should fix the loading issues, to decrease resolution is not the ideal way. Source of performance information: NX Gamer and Digital Foundry. Wait, so the X1 version never had the fog to begin with? Its funny cuz had it been the PS4 ver. that was missing the fog we wouldn't hear the end of it. But when its the X1, it suddenly doesn't matter. The hypocrisy and double standard is strong with fanboys. Just not optimized, there is nothing impressive about this games graphics. GTA5 has much better animations, a bugger and better workd in my opinion and that game was made for last gen systems. This game just has to much fanboy hype. 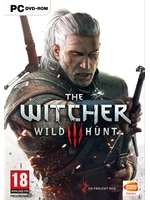 Well ive just sold my ps4 version and picked up the pc version. The frame rate was just to bad and effecting my experience of a fantastic game. The pc version is so smooth and the loading times are much faster on the ps4 after you died it would take around 40 sec on the pc its more like 10 max. 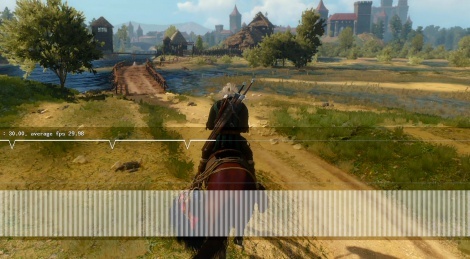 The Xbox One Version does have fog effects i just verified this on my Xbox One copy of The Witcher 3.